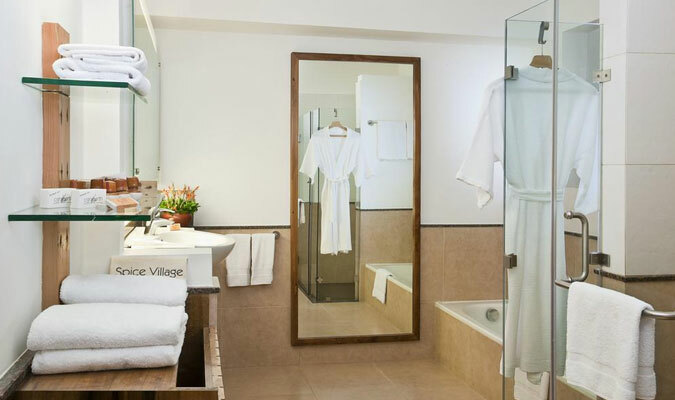 For all the tourists, who wish to escape the rush of a city life but do not wish to leave away with the comforts, must stay at Spice Village Thekkady. Located amidst the famous spice estates of Kerala, surrounded by the mist covered cardamom hills, the hotel is an ideal retreat for couples who wish to rekindle romance during their vacations in Kerala. 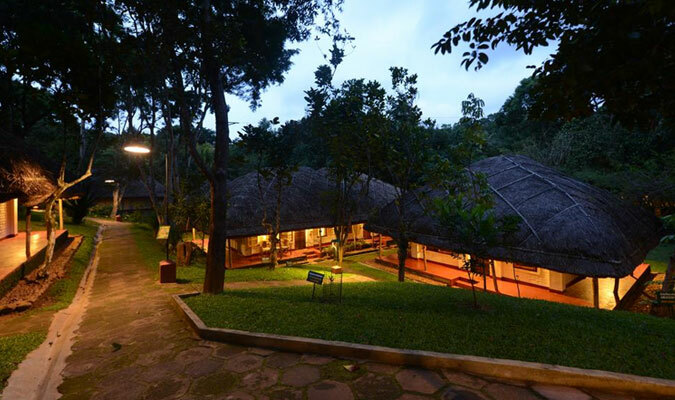 Standard Cottages: These rooms are designed according to traditional Kerala architecture with elephant grass thatched roofs and offer amazing view of surrounding spice gardens. Deluxe Cottages: All these cottages are designed to provide a spacious accommodation to families with an in-room library and additional beds as added features. The 50 Mile Diet: The multi-cuisine restaurant specializes in Chinese, Continental and Indian dishes. Also, the specialty here includes freshly caught seafood dishes. Woodhouse Bar: Enjoy with your friends and families here with a game of billiards/pool and refreshing alcoholic drinks. 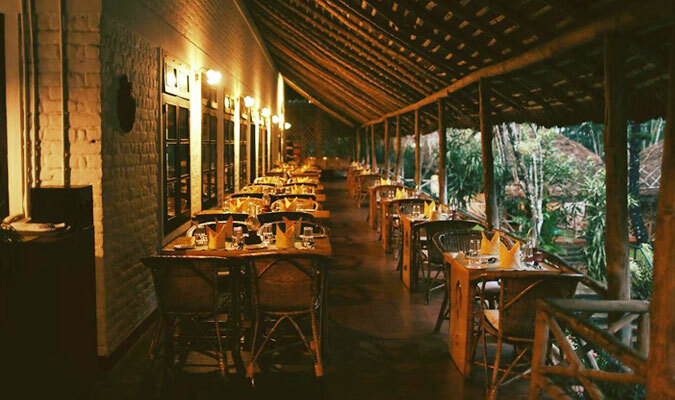 Dhaba: For quick bites with delicious varieties of tea amidst rustic environment, this is the restaurant. Tamarind:Multi-cuisine restaurant offering buffet services to guests.